Allah during this month, accept my fast as the fast of those whose fast is acceptable to Thee. Accept my standing up in Salaat as the standing up of those whose Salaat is acceptable to Thee. Keep me awake during this month and free me from the desires of the insensible persons. In this holy month forgive my sins and errors, O the One worshipped in all the Universe. Pardon me, O the One who pardons the sinners. O Allah, in this holy month, bring me closer to Thy good pleasure and keep me away from Thy displeasure and contempt. Let me grow used to the recitation of verses of the Holy Quran. I beseech Thee for Thy Mercy. O,the most merciful One. O Allah, in this holy month, make me wise and help me to avoid sins. Keep me away in this month from ignorance and ostentation. Award me a share from all the blessings that you may bestow in this month which is in plenty, O the Liberal, Most Beneficent. O Allah, in this holy month, make me stronger, to carry out Thy commands. Let me taste the sweetness of “Zikr” (remembrance). Encourage me of giving thanks to Thee, and protect me with Thy most reliable cover, O One who sees everything. O Allah, on this day, do not let me abase myself by incurring Your disobedience, and do not strike me with the whip of Your punishment, keep me away from the causes of Your anger, by and Your power, O the ultimate wish of those who desire. 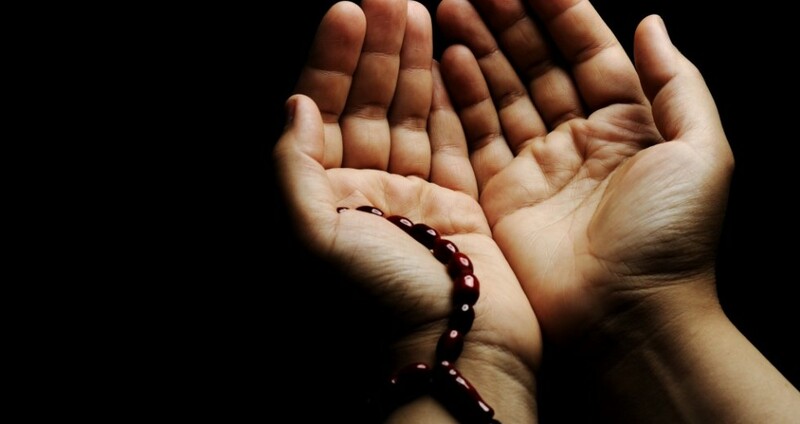 O Allah, help me to keep fasts and to offer prayers in this holy month. Protect me from evil and sin in this month. Bestow on me in this month the blessings of Thy continuous remembrance. I lean on Thy kindness. O the devisor of means for strayed persons to find the right path. O Allah, bestow on me in this holy month wisdom to have mercy on orphans and to feed the hungry and keep the company of the righteous. I appeal to thee in the name of Thy benevolence. O, the shelter of the destitute. O Allah, in this month bestow on me a share out of Thy ample mercy. Lead me to understand Thy glorious teaching. Guide my life to win Thy good pleasure. I appeal to Thy love, O, One whose love is sought by all. O Allah, in this month, let me be among those who rely on Thee, let me be among those who succeed in Thy way, let me be among those who are allowed nearness to Thee, as a favor, O the Last Resource of those who are needy. O Allah, show love to me in this month, by bestowing favors on me. Make me to dislike sin and error. And through Your help, defend me by granting immunity from penalty and flames of the Fire, O He who comes to the help of those who cry for help. O Allah, purify me in this month by Your Grace and make me contented. Make me foremost in justice and fairplay and guard me against all those evils that I fear. Keep me under Your protection, O One who saves all those who fear. O Allah, in this month, cleanse me of all impurities and foul practices, give me the strength to bear all the events ordained by You. Encourage me to abstain from the unworthy and keep the company of the good. Do help me O Sustainer, who cools the eyes of the destitute. O Allah, do not take me to task in this month for my weakness and errors. Pardon me my sins and unspeakable deeds. Let me not be the target of evil and vicissitudes. I beg of You in the name of Your Honor, O the Honorable. You only. Open my heart for repeated hospitality in this month by the grace of Your protection, O the shelter for those who fear. O Allah, let me be in this holy month with the righteous people and keep me away from the company of the wicked. Give me a place in the permanent abode by Your mercy, I beg You in the name of Your Divinity, O Lord of the worlds. O Allah let me maintain my good deeds in this sacred month. Satisfy all my righteous aspirations and desires. O the One to whom we can address our requests and prayers. O One who knows all the secrets of all the worlds and it’s inhabitants. Send blessings on Mugamad (saw) and on his purified children. O the Light of the hearts and minds of those who know. O Allah, multiply my share in this month on account of it’s abundant blessings, make easy and smooth my means and ways to reach its mercy and bounties, and do not prevent me from getting its good. O, He guides unto the clear truth. O One who brings satisfaction to the hearts of the believers. O Allah let this month lead me to win Your good pleasure. Let not the devil have access to me this month. Let me be worthy of being admitted to Paradise. O One who fulfils the needs of the needy. O Allah, open for me in this month the gates of Your good pleasure, and make available to me multiple blessings, keep me attached with that which obtains Your pleasure. Let me live in the atmosphere of heavenly peace. O He who hears the cries of the distressed needy. O One who overlook the shortcomings of sinners. O Allah, in this holy month, I beg for those things that will lead me to do the things You approveth. I beg for protection against the things that displease You. I beseech You to arrange my life in such a manner that I obey You and never break or tamper with Your laws, O He who liberally gives abundantly to the beseechers. O Allah, make me of those who love those close to You and an enemy of those who are Your enemies. Make me follow in the footsteps of the last Prophet [S.A.W.A.] O, the Comforter of the hearts of all the prophets. O Allah, let my good efforts in this month be fruitful and my sins pardoned. Accept my actions and conceal my defects, O the Best Hearer. Power). Let my difficulties and problems be overcome. Accept my repentance; ward off from me sins and evil acts, O One who is merciful towards the virtuous. O Allah let me make a greater offer of “Nawafil” prayers in this month. “Means of Approach” (Muhammad [S.A.W.W.] and Aale Muhammad) who are the select best medium to gain Your favours, O He who does not get confused on account of the ceaseless demands of the countless beseechers, but attend to each and every supplication. O Allah, in this month draw me nearer to Your mercy. Bestow on me blessings and keep me away from sins. Cleanse my heart from the vulgarity of making false accusations, O He who is merciful to the faithful servants. RAMADAAN is a month of countless blessings and virtues. The word RAMADAAN is derived from “ramdh’ which means “burning of the feet from heat” This is because of the fast, which burns the sins of a Muslim into ashes. 1. In this month, the whole Qur’aan was sent down to the first sky from Lawhe Mahfooz. 2. In this month, there is the night of Qadr, which is better than 1000 months. 3. In this month, the thawaab of good deed is equal to the fardh of another month. 8. The month of RAMADAAN is a month in which the Mercy and Blessings of Allah Ta’ala descend upon us continuously. This month is so precious that one should fast, recite Qur’aan and engage in worship (Ibaadah) day and night. One should performTaraaweeh, Nafl Salaat, make du’aa, etc. In this way, by giving preference to religion over self-desires, a person can acquire the Pleasure and Nearness of Allah. Each day and night of this blessed month can bring the reward of Ibaadah of years.